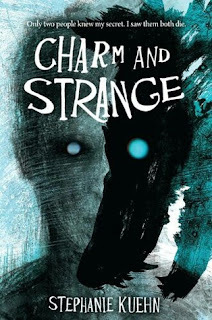 Writing about ‘Charm & Strange’ by Stephanie Kuehn is a pretty difficult task, I can definitely see what the author was trying to achieve here, but at the same time I couldn’t say I really enjoyed a moment of it. I’m sure this book wasn’t written to be enjoyable but I couldn’t say I found it very compelling or gripping either. The story revolves around Andrew an incredibly complex and difficult teenager who is convinced he has inherited a dark curse that has been passed down through his family. The book flips back and forth between what is happening with Andrew as he navigates his prestigious boarding school life and his strange and tangled past. Although I am usually drawn to difficult and troubled characters I didn’t really warm to Andrew so I found it difficult to feel connected to the story as it unfolded, and mostly felt disdain towards him and his behaviour. Another reason this book is difficult to review is because there are some huge revelations which, while hinted at throughout the book are only fully revealed at the end, making it impossible to really discuss what ‘Charm & Strange’ is REALLY about. At times I was reminded of ‘Liar’ by Justine Larbalestier, a book I read a few months ago with a similarly troubled narrator who can’t really be trusted to tell you the truth. Maybe that was one of my problems here, the story felt familiar and I knew I’d read better versions of it before. I would still be interested in reading more books by Stephanie Kuehn but I hope that any subsequent books would be more compelling and less ambiguous with character development I could appreciate more. Thank you, Hayley, for that interesting review!